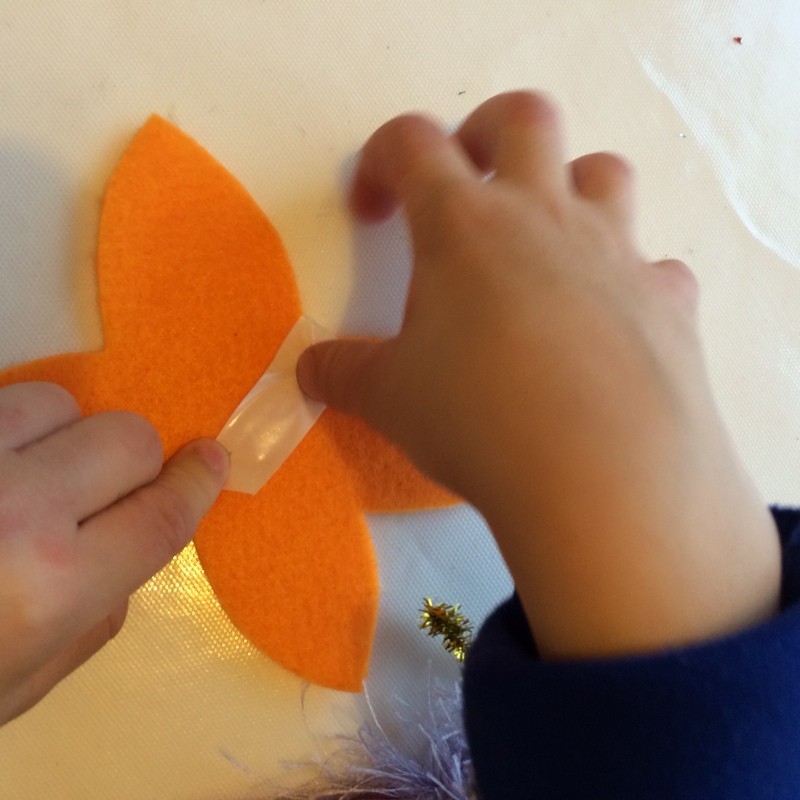 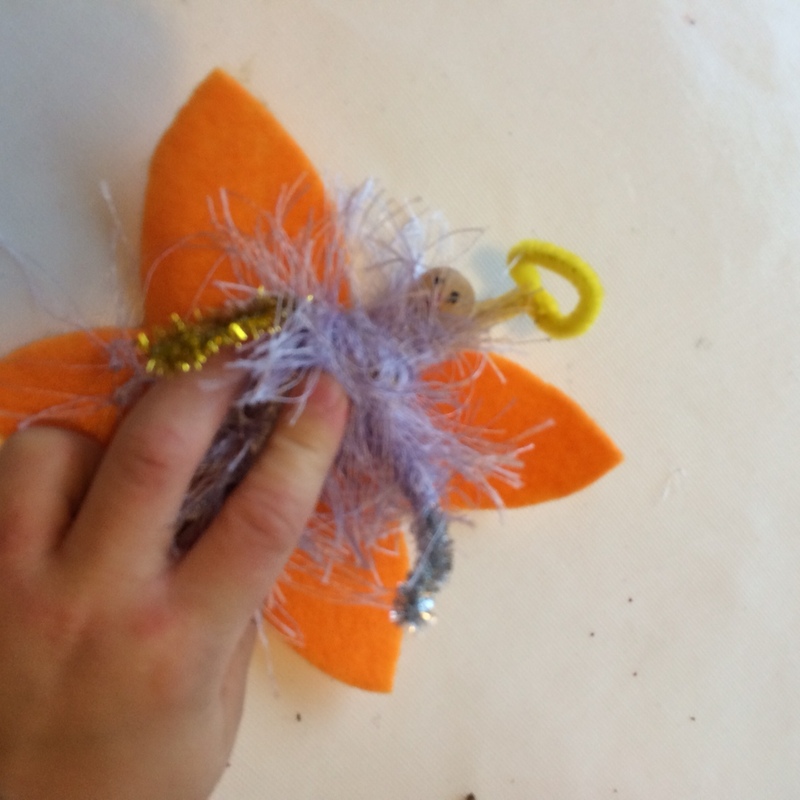 I was making some fairies for the Christmas Crafts workshops that I am running this week and next and Ted loved them and wanted make one of this own, which is in the middle. 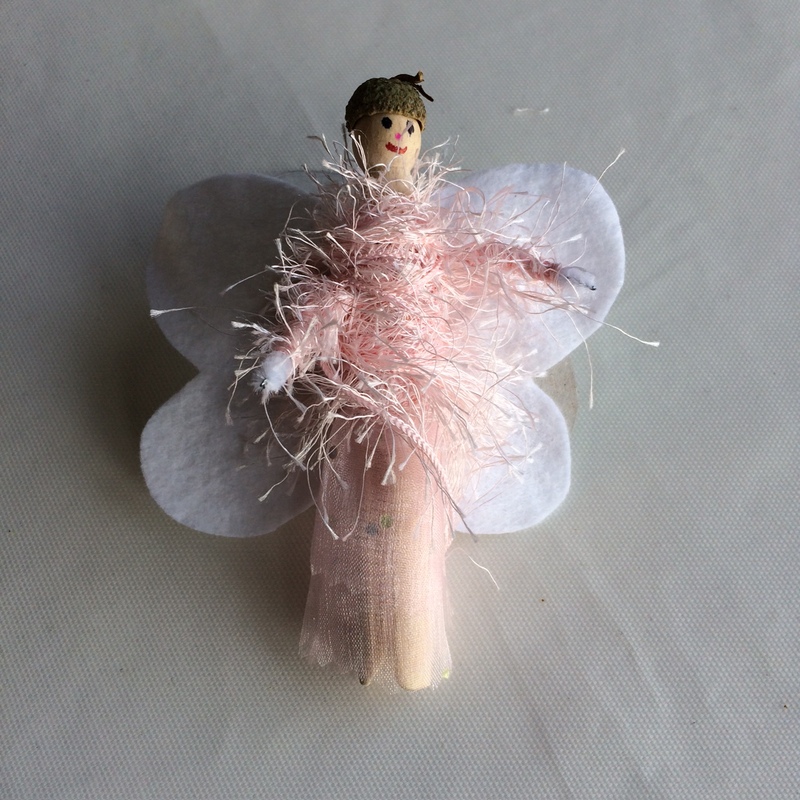 He thought our Christmas tree will need an angel on top, so has added a halo to his. 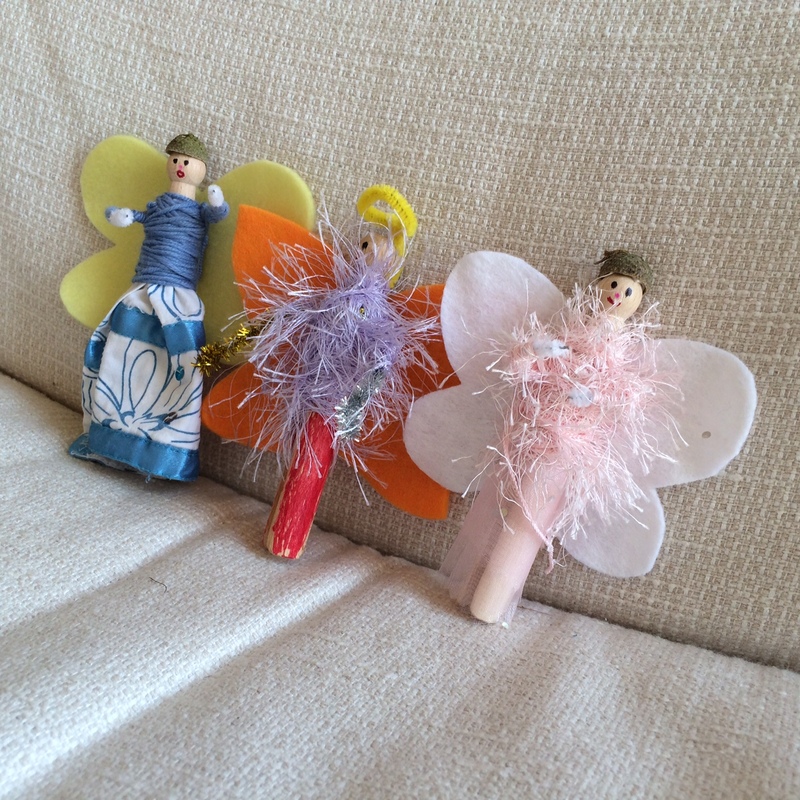 I know that Christmas is weeks and weeks away, but we can’t wait to put them on our Christmas tree – I am sure that between now and Christmas these three fairies will be joined by many more. 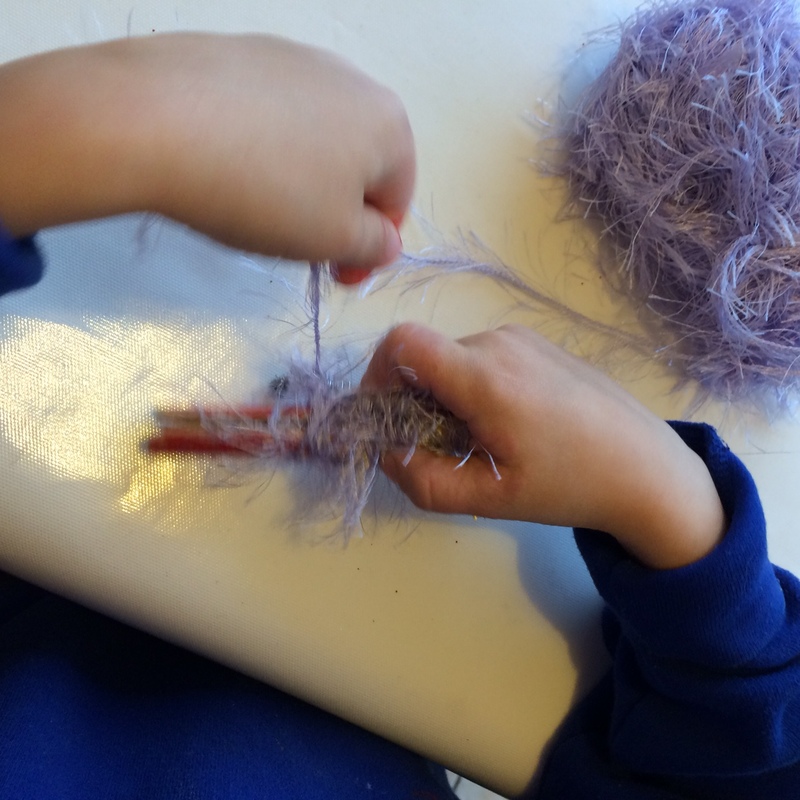 We have been using some wonderful fluffy wool for some of our fairies which gives them a really magic quality. 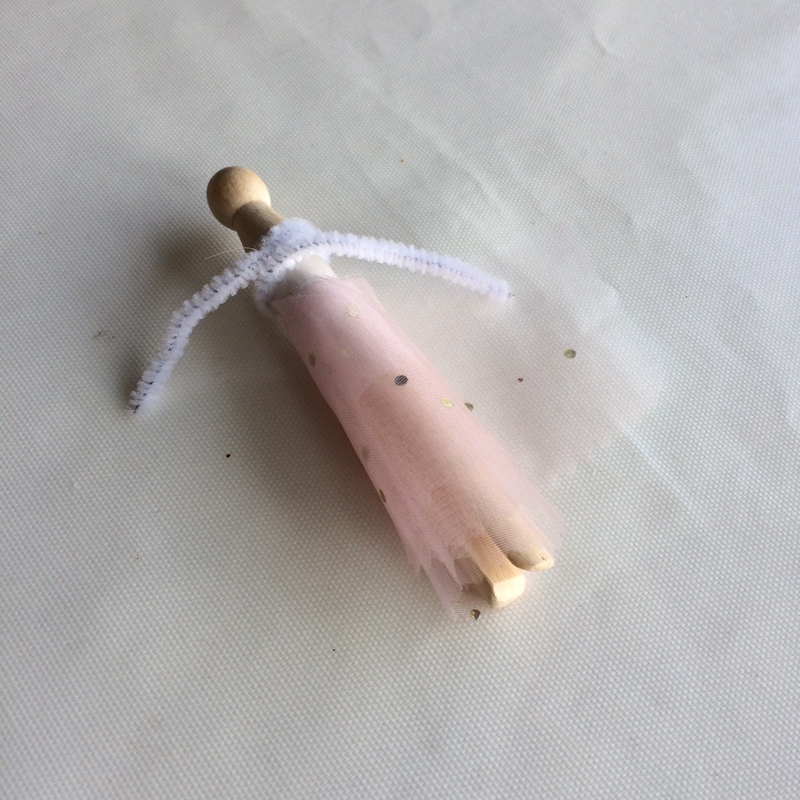 Cut a length of coloured wool and tie round middle of clothes peg over top of the fabric to help secure fabric in place. 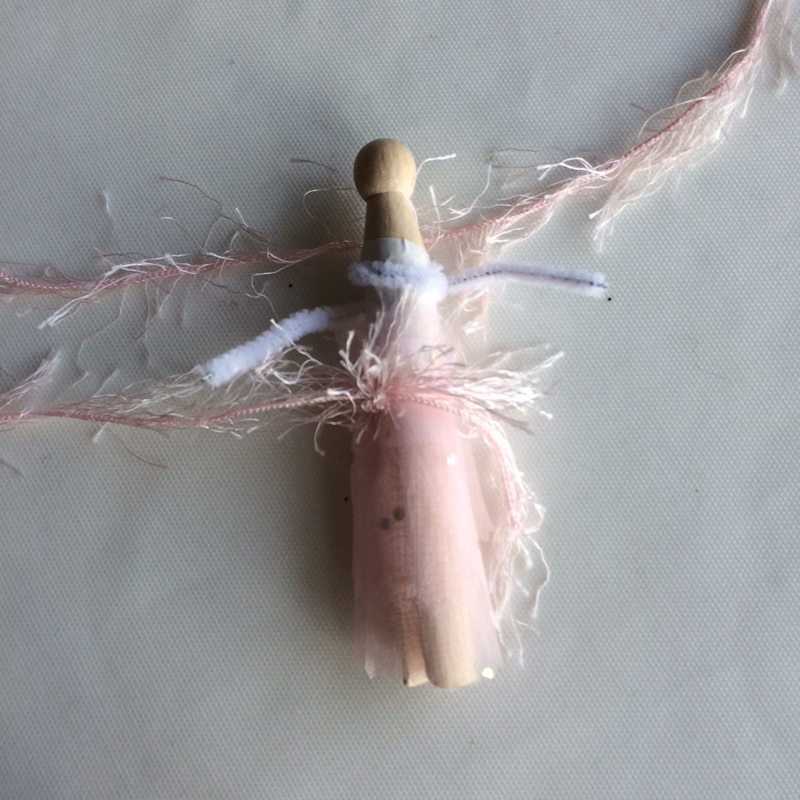 Once top of fairy covered in wool, tie to secure and cut off. 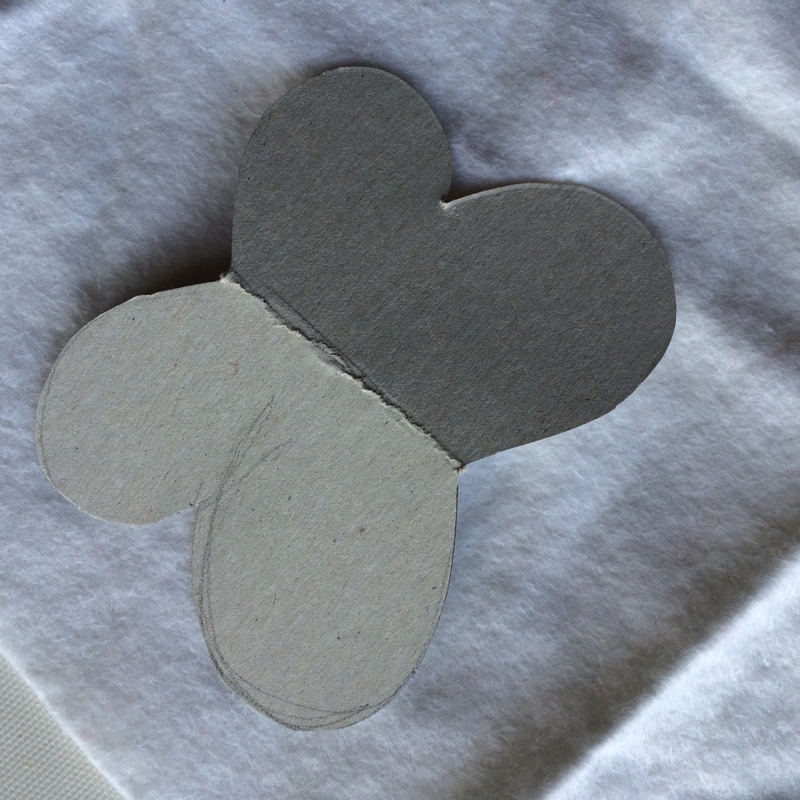 Cut and place a small piece of double sided foam tape ontop of fairies head and add acorn hat. 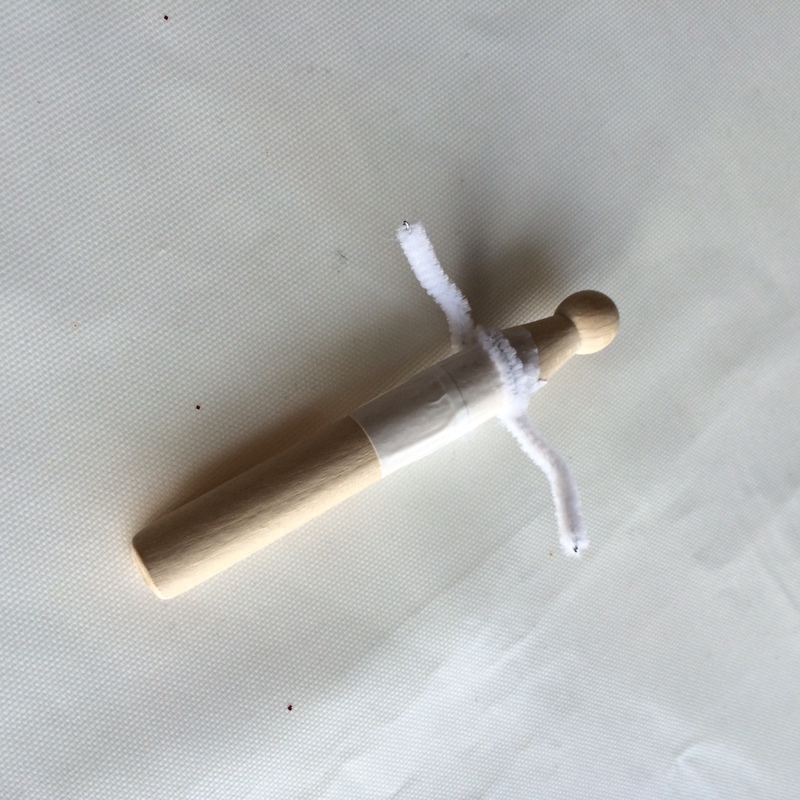 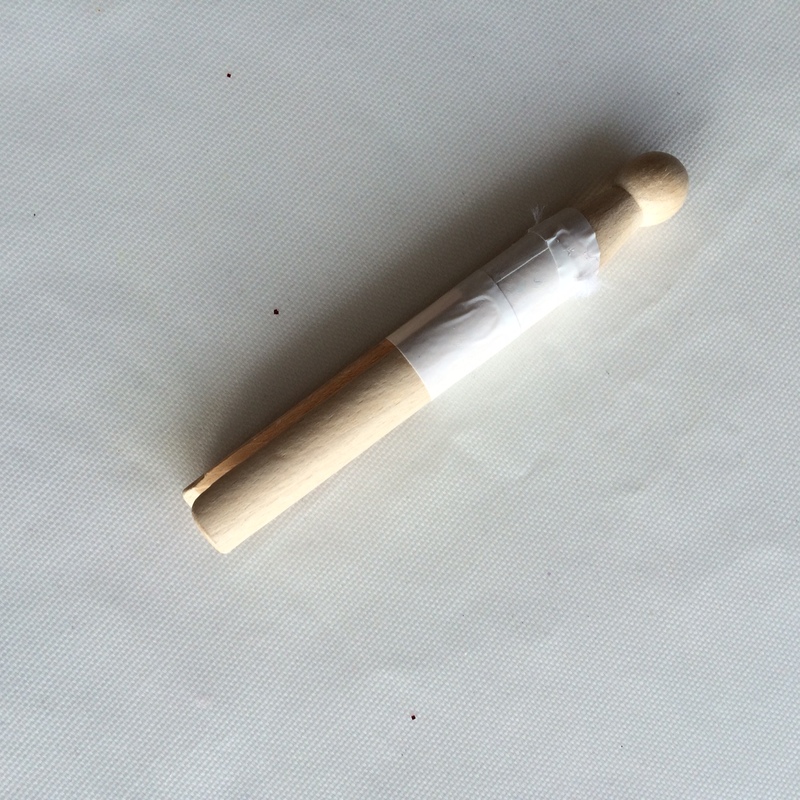 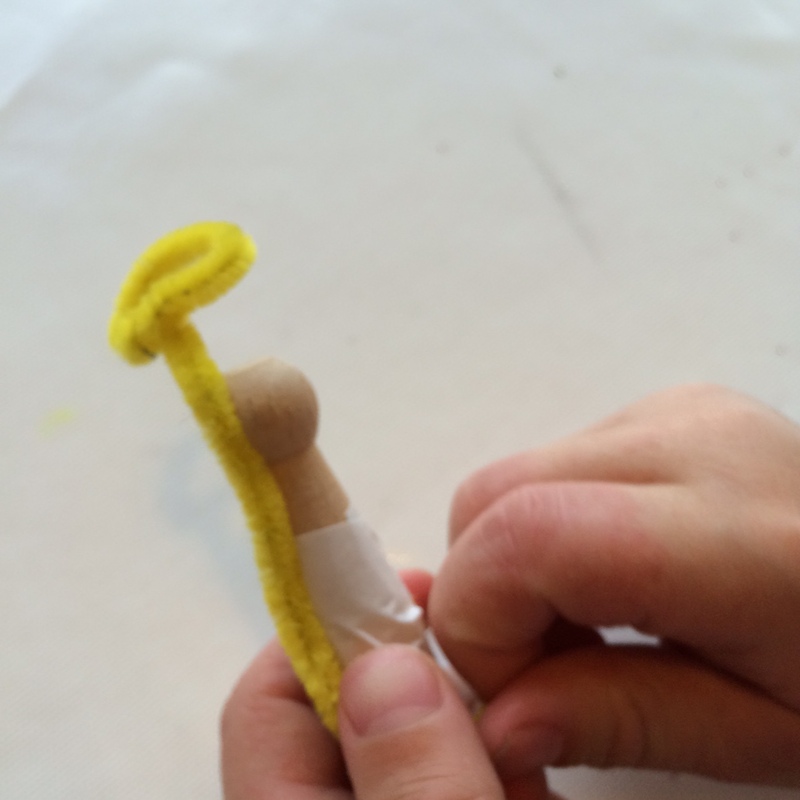 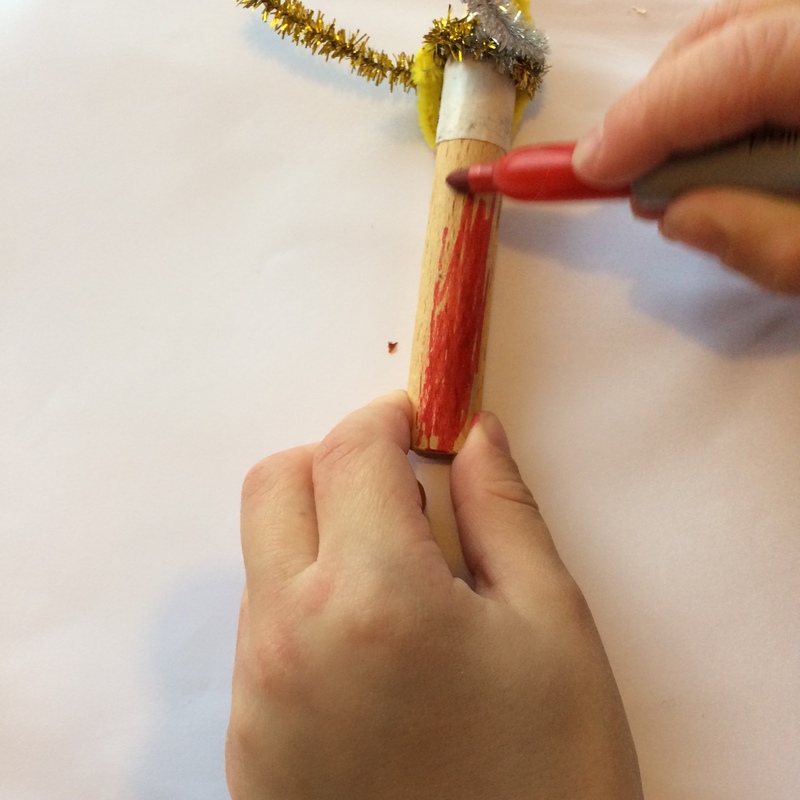 Ted wanted to make his into an angel wearing trousers – he used a permament felt tip pen to colour in the legs of the angel, then twisted a yellow pipe cleaner into a small ring and attached one end of the pipe cleaner down the back of the angel, with the ring over the head and then wrapped wool over the top half to secure and cover pipe cleaner halo and arms.